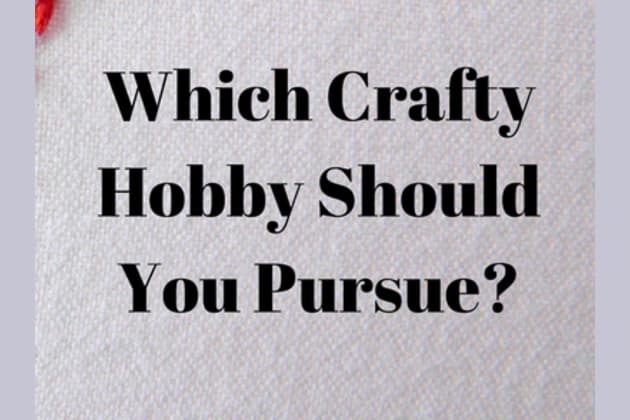 How much time do you have for hobbies right now? Why do you want to make things!? How do you feel your most creative? What subject in school did you excel at? Who are you crafting for? Are you thinking of building an Etsy store? BONUS! Pick a super fun crafting material! You should take up embroidery! Embroidery is really cool! It's like drawing, but with beautiful thread. You can make so many things with embroidery, and those projects are beautiful gifts. Off to the craft store with you! You should take up knitting! Knitting is a time-consuming hobby, so make sure you've got plenty on your side. And, you know, knitting is the craft of love. Because you're making things for others, who will cherish them forever! Diamonds are a girl's best friend, are they not? You'll be a phenomenal jewelry maker, we just know it. Your wares will be so in-demand, customers will line up for miles and miles! You're an introvert, which makes bujo perfect for you. It's a beautiful hand-drawn journal of, well, basically whatever you want! And then you'll have your own perfect, private artwork to cherish. What a dream!